Dorner’s goal is to provide products and services that meet or exceed our customer requirements and applicable standards. Each of our employees is committed to that goal. 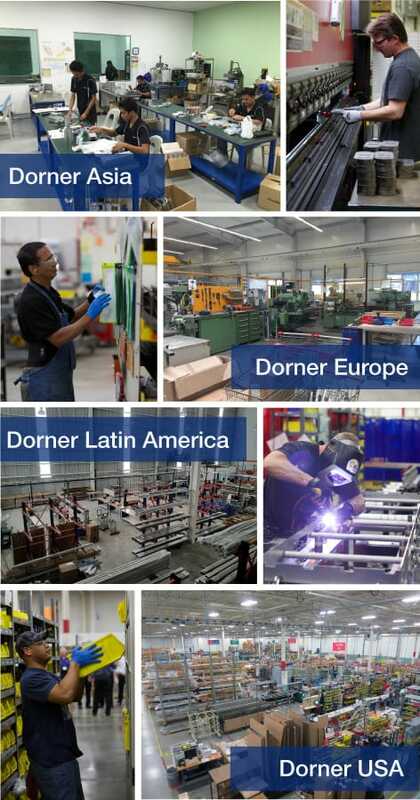 Dorner is committed to satisfying and delighting our customers by providing them with high quality Engineered Solutions, products and support through continual improvement. Dorner USA’s facility and processes are ISO 9001:2015 registered by TUV Rheinland Registrars. Our established Key Performance Indicators (KPI’s) are regularly reviewed to determine areas to address for continual improvement opportunities. Our Quality Department supports the Operations Team to ensure customer requirements are understood and achieved. We invest in quality inspection equipment such as our Faro Edge coordinate measuring machine (CMM) to verify close production tolerances. Inspection equipment is calibrated and maintained to the requirements of ISO/IEC 17025. We update and maintain each of our production process maps, FMEA’s and control plans to ensure product conformity. Dorner conveyors are designed to satisfy a variety of industry requirements and regulations. 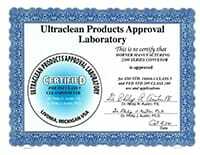 We offer USDA, BISSC, CE and Clean Room Certified conveyors.